Understanding the MTHFR mutation basics | To Health With That! 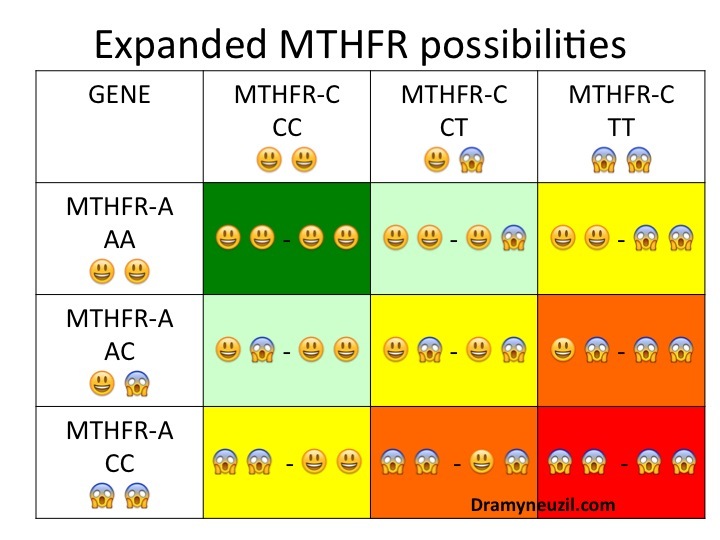 I’m amazed at how many people are coming into my office with MTHFR mutations, and also at how difficult it can be to actually understand the MTHFR mutation basics. So let’s start from the beginning and go from there. What is MTHFR? Why Do I Keep Hearing About It? MTHFR, just to be confusing, is the name of both a gene and the enzyme which that gene helps your body to make. We call it MTHFR because the actual name, methylenetetrahydrofolate reductase, is just ridiculously long and cumbersome. This enzyme helps your body to methylate. If your genes have a mutation it means that the enzyme they’re supposed to make turns out just a little bit wrong. You still make the enzyme it just isn’t exactly the right shape and so it works differently from normal. It’s become kind of a buzzword these days simply because we’re discovering that it is more common than we thought and if you happen to be a mutant (like I am) then you may be at greater risk for a number of health problems. We’ll get to those in a second. What Does the MTHFR Enzyme Do? The short answer is that this enzyme methylates. Since the short answer sounds like something nobody cares about, let’s also talk about a long answer. Methylation means that you add a “methyl group” which is essentially a carbon bonded to three hydrogen that looks, appropriately, like mutant mickey mouse ears. This sounds highly anticlimactic, but actually helps your body to do almost everything, like replicating and using your DNA, activating your B vitamins, detoxifying toxic substances and a whole host of other things. What Are The Possible MTHFR Mutations? All possible variations of MTHFR gene combinations. The basic rule is that the more bad copies of the gene you have, the more likely you are to have negative health effects from those genes. The good news is the more bad copies of the gene you have, the more benefit you can get out of working to improve your body’s methylation ability. Can I Fix a MTHFR Gene Mutation? Yes and no. You are born with a set of genes and you’ll die with the same set – nothing can change your genes. That sounds like bad news, but the good news is that we can get around a slow enzyme pathway – usually by supplementing the methylated form of B vitamins (so that it doesn’t matter if your genes can’t convert them) and also methyl donors. MTHFR mutation can make your life miserable, but if you learn to deal with it correctly it can also be overcome. Poor methylation is becoming a common topic in medicine simply because we’re realizing how common these mutations really are and how great an impact on health they have. Learn more about some of the conditions caused by this mutation here, and about some of the problems you can run into taking methylated B vitamins here. There is so much more to this story, but at least we’ve covered the MTHFR mutation basics here. If you suspect a problem, get tested and talk with a doctor who knows about it because that will be the quickest path forward. This entry was posted in Genetics, Healthy Mind, MTHFR and tagged 5-MTHF, methylation, MTHFR, MTHFR mutation, mthfr mutation basics, MTHFR-A, MTHFR-C on July 7, 2014 by amyneuzil. Great post. Sorry I know this post is pretty old but I am trying to get some decent info on my MTHFR and when I think I know, I realise I don’t know… incase anyone is still here! If someone was MTHFR 1298A>C result CC according to your image at the top that seems OK. On the panel from the provider it says moderate impact and supplementation with the usual B vitamins desirable. Great question. So – I’m assuming you C677T is normal (wild-type, meaning this one is a CC). The A1298C is abnormal, meaning also CC. IF that’s correct, then you do have a moderate impairment and your methylfolate processing is somewhat compromised. Here’s a post specifically on your situation, A1298C. This certainly impacts both your ability to use folate and folic acid effectively, but also your ability to detox anything requiring methylation (think hormones and a variety of toxins), and also your ability to make certain neurotransmitters. Here’s more information from Ben Lynch. A1298C gets less attention than C677T simply because C677T seems “worse,” meaning the known compromise in folate metabolism is more significant. I can say clinically, however, that the symptoms I see from A1298C are just as severe as those from C677T. I would certainly encourage you to start exploring your supplement options and to find out as much as you can about your situation. I hope this helps! Hi Amy, Yep spot on re CC x 2. I have been supplementing a pretty low dose of b vitamins in accordance with my thoughts that I am only slightly compromised. All my other markers are good B12, folate plasma etc. I am regularly reviewing my markers and building a picture and a protocol that helps me. The body is very complex so it’s each to his (or her) own I guess. Prior to this diagnosis I got severe frozen shoulder immediately after rotator cuff surgery. When I had a second surgery to free up the adhesions I was told by the surgeon that he had never seen so much scar tissue in someone without diabetes, I had gestational diabetes but not type 1 or 2. Does this double mutation cause scarring, poor healing or inflammation? I currently have plantar fasciits that won’t heel after a year of PT, dry needling, steroid shots, cast, boots, no weight baring. According to a new MRI I still have plantar and bone inflammation. Could there a correlation with the MTHFR? Interesting you should ask! I just stumbled across an interesting article that says that people with C677T variants actually have higher resting levels of inflammation, while people with A1298C variants have lower than average resting inflammation (as measured by neutrophil to lymphocyte ratios). So there is certainly a higher level of inflammation with your particular mutation. The link between adhesions/scar tissue and MTHFR has never been researched but I have a *lot* of MTHFR clients (and myself) who have talked about scar tissue buildup or who are prone to adhesions. There is no research, but I wouldn’t be surprised if a link emerges over the coming years. Great questions! I really appreciate your responses and the article. My 17 year old son needs surgery for a shoulder labrum tear and stretched joint capsule. I had his MTHFR tested because I have a double mutation. I just got his results back. Can you please help me understand them? His Dr said he was unfamiliar…? I thought a young internal medicine Dr would know about genes. and/or assess tolerance to antifolate medications. medications affecting folate metabolism may be lower. I was diagnosed with MTHFR A1298C, C677T compound heterozygote mutation 3 months ago after a DVT in my right femoral vein (Leiden and PTR mutation was not present). I was prescribed to take Folic Acid 5 mg per day. Tests for lupus anticoagulant were positive immediately after the DVT but was negative with the 12 weeks check up, 4 months after the DVT I am still on blood thinner and the clot is still there in my thigh, although a little smaller size. I was diagnosed by a rheumatologist (as she was the closest doctor I saw after the incredible pain I had in my leg), who sent me to an other rheumatologist who is specialised in high risk pregnancies (SLE and antiphospholipid syndrome) and he wants to put me on Plaquenil which is for autoimmune diseases – what I don’t have! I have been living a very healthy life as per as food (lot of veggies with greens and fish, organic chicken only), running and practicing yoga as well. I am in a very good shape, the only problem is the work stress (which I guess is there for everyone). Months are just passing and I am very upset and inpatient, don’t exactly know what to do now. Could you suggest any step for me how to move from this point? Haha! No worries. My computer autocorrects my name all the time. Sigh. Oh goodness. DVT is nothing to take lightly, and unfortunately, it’s something that does really have to be medicated because the risks are so severe. I think your best option would be to see a fertility specialist who has knowledge about MTHFR mutations because if you’re starting to try and have compound heterozygous mutation then it will be a factor in your pregnancy no matter what. Also, fertility specialists seem to be the most knowledgable docs about MTHFR anyway, so it’s kind of a double bonus. My guess would be that this doc will switch the folic acid prescription to something methylated and may have opinions on the plaquenil, which is not safe during pregnancy or even while you are trying to conceive. I hope you can find someone good locally! Thanks for your helpful information! 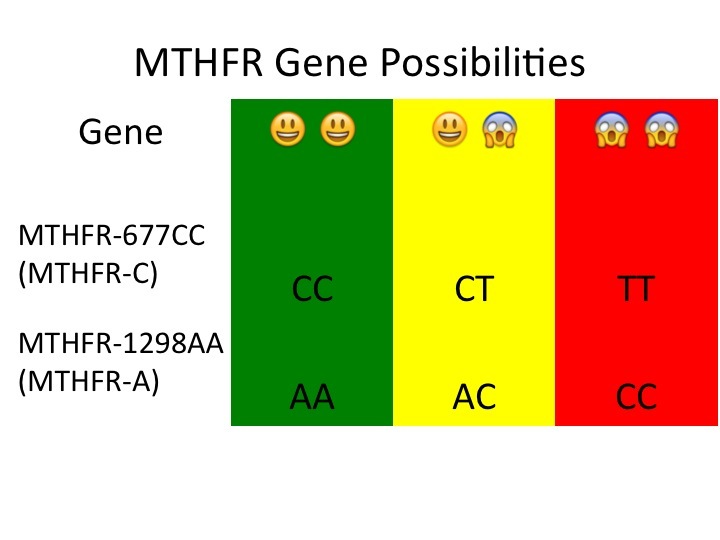 I am just learning about MTHFR as I recently found out I was heterozygous for the C665C>T (negative for the C1286A>C). I am also BRCA2 positive, ANA Positive. Was tested for the MTHFR since my Dad just found out he has severe coronary artery disease. He didn’t seem to have many symptoms and yet every artery in his heart had bad blockages. So I have cancer genetics on my Mom’s side and heart disease on my Dad’s. I had already started looking into bioavailable folate after reading that many BRCA2 people had folate deficiencies. So this finding I got today is interesting. I changed my diet to a more ketogenic type way of eating. It makes me feel better and I lost 40 pounds over the last 9 months. It lowered my High Sensitivity CRP down to 1.96 from 3.88, and lowered my ESR (although it has been between 41 and 50) finally down to 30, and totally changed my pre-diabetic state. I know I am fortunate to only have one bad copy of one of the two genes. But would supplementing methylfolate be helpful in my overall health? Any thoughts would be appreciated! Thanks! First I have to say WELL DONE!! It sounds like you’re making some amazing changes to your health and that is fantastic. Absolutely – even with one bad copy of the C677T I think it’s a good idea to supplement with the methylfolate. It’s not terribly expensive and it makes sense to switch from a multi with folic acid to a multi with methylfolate just in case. If it can reduce cancer and cardiac disease risk, well that’s all the better. Happy holidays! I had a pregnancy that resulted in spina bifida 4 years ago. I was advised to start taking 5 mg of FOLIC ACID to reduce the risk for the next pregnancy. My question is, what dosage of L-Methylfolate is equiv to 5 mg of FOLIC ACID? Is it a straight conversion or is it different due to it being biologically active? As far as we know it’s a straight conversion – if you dont’ have trouble with MTHFR, then folic acid should metabolize directly into an active form of folate, so 1:1. Best of luck with your kiddo and your next pregnancy! Where can I get the MTHFR test? Please reply to my email, thx. I typically reply to posts just in the posts so I hope you get this. I suggest just using 23&me genetic testing (which is actually geared more to ancestry, but includes lots of health information) and then extracting the useful information about MTHFR and it’s related genes through something like geneticgenie.org – your doctor can also order the testing, but oddly it typically works out to be far more expensive that way unless you have amazing insurance. Hi Amy, just found your site and thank you for the info! I am Compound Heterozygous MTHFR c.665C>T/c.1286A>C, and I have now had 3 miscaraiges which seems to be an implantation issue, maybe even unrelated. Anyhow, I have been taking a baby aspirin a day and this folate supplement: https://www.amazon.com/gp/product/B007LEO3OW/ref=oh_aui_detailpage_o05_s01?ie=UTF8&psc=1 // Do you think this is correct or should I be taking a different supplement? So – when you’re trying to get pregnant your body may want a little higher level of methylfolate than on any other normal day. When I was getting pregnant I upped my dose to about 2 mg per day, which was right for me. Still you may have to find what’s right for you – it’s different for every person. I’d say try to aim for at least 1 mg but if you can tolerate more or feel better with more then do that. Great luck! Pingback: MTHFR and depression - what is the link here? My husband and I have struggled with infertility for over 3 years. We went to a fertility clinic where genetic testing was completed. I came back with MTHFR deficiency and am having trouble distinguishing what category I fall into. I have 1 abnormal copy of c. A1286C (p. E429A) and 1 abnormal copy of c. C665T (p. A222V). Any information would be helpful as none of my doctors seem to know what to do with this. Thanks! God it all turns into a bunch of gibberish, doesn’t it? So – in terms of genes there are a variety of ways to designate them. C677T can be shown as: [NM 005957.3\ c.665C>T (p.A222V)] and A1298C can be shown as: [c. 1286A>C (p.E429A)]. Typically clinically they just say C677T and A1298C, but when they don’t it’s confusing. So it looks like you’re compound heterozygous. This means both of the genes we know most about have a partial compromise. You have one good copy and one bad copy of each gene – that’s what I have too. Does that help any? I was diagnosed w homozygous MTHFR. I understand that I need to take methylated b12. Question I have is that I have atrophic gastritis from an hpyolori infection. So the double whammy is that even if I was not a mutant, I would not be able to absorb regular B12. Will my body absorb methylated b12 taken orally or will have I still have to get the injectable? Hmmm. Interesting question – I honestly can’t say with any certainty, but logic would say that you will probably still need the injectable form because absorption is far more of an issue for you than it would otherwise be. Also with your combo of issues it’s important to make sure your gut bacteria are healthy and doing their job because B12 is actually manufactured by healthy gut bacteria. Having a healthy balance will help to compensate for the lack of intrinsic factor that makes oral absorption difficult. Good luck! Thank you for all the interesting information on MTHFR. I’ve recently been confirmed as homozygous for C677T, I had a previous genetic test done that stated I was homozygous AA – I am a bit confused as you mention that the worst homozygous are the TT alleles. Should I disregard the alleles listed so long as both confirm that I am homozygous? I am trying to make sense of this in relation to some other issues I was diagnosed with (Immune Thrombocytopenic Purpura, which is now controlled, and Antiphospholipid Antibody Syndrome) which were discovered after yet another miscarriage/believed ectopic pregnancy. I am working with my doctors on the best approach moving forward and hoping that a good combination of folate and baby aspirin regimen will alleviate issues. Do you believe that the MTHFR could have any barring on these autoimmune diseases? Great question. I honestly don’t know, but I suspect that the mutation might make people more susceptible to autoimmune conditions, simply because I have seen them co-occur so frequently. It seems like MTHFR mutation sets us up for higher levels of inflammation (which we know) and then potentially this inflammation can lead our bodies to react badly and start attacking our own tissues. I have seen so many people with MTHFR mutations who also have autoimmune conditions that it seems too common to be coincidence. In answer about the alleles – honestly our level of knowledge about treatment isn’t precise enough to have any different approach for different allele pictures, so I would say yes. Disregard the alleles and just proceed as you would otherwise. Good luck with the new regimen! I forgot to ask too. 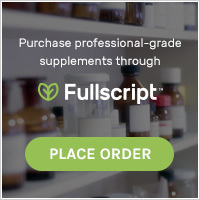 Is there a Methyl-Folate Sublingual? Would this be an easier and more effective way to take Methyl-Folate with possibly less side effects? Or would it be about the same as taking a regular Methyl-Folate supplement? There are methyl-folate sublinguals but as far as I know the absorption is pretty similar between an oral dose (that you swallow) and a sublingual dose (that goes under your tongue). Unfortunately there isn’t a difference between the two in terms of side effects. Great question! Do you happen to know if there is some sort of blend of methylfolate and other vitamins or maybe in a mix of electrolytes; something that can help with the side effects you can get from methylfolate by itself? I haven’t seen a blend in electrolytes (but good idea!) but typically I suggest starting with a low-dose multi (or high-dose multi that is broken into several capsules so that you can customize, like the Thorne Research Basic Nutrients) because the multi will always have a bit of niacin, other supportive B vitamins, etc… to make the reaction a little smoother. I just recently had a miscarriage, and am trying to conceive again. I also have very low Progesterone and 1 point away from being Pre-diabetic. I read somewhere that low Folate can effect insulin response…..is this correct? Since I found out about the MTHFR, progesterone and Pre-diabetes, I have, for about a month and a half, been taking a new multivitamin (Micro Plex MVp Food Nutrient Complex by doTERRA). So with taking this everyday, would taking say a 400 microgram of Methyl Folate be ok? (Jarrow formulas. (6S)-5-methyltetrahydrofolic acid glucosamine salt). And would taking Methyl Folate potentially help my insulin (I have been cutting out refined sugars and processed carbs etc too). Great luck with the pregnancy! It’s so exciting to be trying for a baby. So – the biggest thing that will help with the insulin is of course dietary change, and in this situation a very low carb, high protein diet would be tremendously helpful. Also with the MTHFR mutation I generally suggest people stay away from grain products (bread, pasta, crackers, cookies) simply because most of them are fortified with folic acid, which isn’t any good for us. Having said that, it seems like adding methylfolate does help some people to restore blood sugar balance and normalize insulin, but I haven’t ever seen any good research on the subject. Progesterone levels are incredibly important for pregnancy and to maintain early pregnancy so hopefully your doctor is addressing that with a supplement or prescription. In terms of the dose of methylfolate – generally for women who are trying to get pregnant I typically suggest 1 mg per day or more, depending on how their body tolerates it. Generally though the recommendations for any type of folate in pregnancy are trending towards 1 mg or more (current standard is 800 mcg but a lot of doctors are pushing that dose upward). Great luck and keep me posted if you can! I have not been tested for the MTHFR mutation. Even so, I recently began taking Pure Encapsulations B Complex Plus with Metafolin L-5-MTHF (I’ve felt a little “off” and attributed it to the supplement). If one does not have the mutation, is it harmful to take a supplement containing methylfolate? Also, will taking this supplement be reflected in a future homocysteine test? And finally, if I begin to feel better, are either a homocysteine or MTHFR test necessary? Such a good question! So, in theory the 5-MTHF form should be better for everyone because it’s actually the active form that our bodies use. Having said that, I have spoken with other people who test genetically “normal” (meaning no MTHFR mutation) who feel a little wound-up when they take the methylfolate – although most tried a high dose, so it could just have been over-kill. So at the end of the day it isn’t harmful at all, but it isn’t always well-tolerated. In terms of homocysteine tests – some people with the MTHFR mutation have high homocysteine and some maintain normal, so if you had a high homocysteine then you should see an improvement but if you didn’t then it probably won’t change too much. In terms of testing – honestly homocysteine is a good one to get just as part of your general wellness routine. MTHFR testing I really only suggest if there are a number of red flags for it (high homocysteine, anxiety, depression, insomnia, fertility troubles, adhd, family history of addictions or emotional disorders, repeat miscarriages, mid-line defects, etc…) or if it seems like we’re doing everything “right” and a client still isn’t progressing. I hope this helps! Wow! Thank you for the timely and informative reply. I so appreciate your response. As far as I know, my homocysteine level has never been tested. I assume because I am taking a supplement with methylfoliate my homocysteine level might be altered and therefore testing it after the fact may not offer any insight into possible MTHFR mutation. I’ve been taking the Pure Encapsulation supplement a week. For a couple days I felt slightly more jittery and a bit nauseated. Nothing uncomfortable today. I am a 49 year-old female, and have been looking for solutions to life long anxiety (first panic attack at age 6) along with a life long sleep disorder, bouts with depression, 35+ year history of migraine, irregular periods, severe PMS, to give a little bit of background. I do not respond well to antidepressants or medication is general. My body tends to “over react” to medication. Your site has become a source of hope. Your posts on MTHFR are SO helpful and relieving! I have a couple questions if you’d be so kind to share your thoughts on it. Firstly, I just got tested by my OBGYN and the results were: “One copy of the MTHFR gene variant c.665c>T (previously designated C677T) was detected, but negative for A1298c. Result: Heterozygous.” I’m not sure if that makes me compound or not (this is confusing, lol). She prescribed a daily 800mcg dose of methylfolate. After looking at reviews, I decided on the brand Seeking Health (Active B12 with L-5 MTHF, 800 mcg MTHF, 1000mcg B12). Because I am trying to conceive, I have also been taking prenatal pills (Innate Response whole-food pills), which have the complex B group covered – but also include regular Folate. I noticed that you mentioned NOT to take regular folate while taking MTHF – and this is confusing, and a bit concerning. What is your suggestion around this, as I am actively trying to conceive, and the prenatal has all the other things I need in whole-food form? (easy on my stomach is important). I am also taking Ultimate Omega (Nordic Naturals) fish oil capsules. Secondly – while I don’t believe symptoms from MTHFR have been too severe in my life (possibly b/c there’s only 1 copy of the mutation), I have struggled mightily the last 3 years with anxiety problems and mood stabilization. When I began the MTHF supplement last week, I had an immediate spike of anxiety attacks, and other symptoms that you mentioned as side effects. It was rough, not gonna lie. But I’m SO so glad to have read this and understand why, now! After a few days (close to a week), the symptoms have subsided greatly. I’m truly hoping that finding the right dose will alleviate my anxiety for good. How long do you think I should continue on this dose before I determine whether I need more, or not? It’s been 2 weeks now. My main concern lies with the folate / prenatal question, however. Thank you for your help! Great questions! So first – you are not compound heterozygous (which would be one bad copy of each gene) you’re just plain old heterozygous, which is awesome because it means that your MTHFR issues should be less severe. In terms of the prenatal – it’s a huge issue. The one I used for my pregnancy is Thorne Basic Prenatal because it’s all methylfolate and gives 1mg total so for me I didn’t have to take additional. It isn’t whole foods based though, and generally all of the whole foods based multi’s still have lab-created ingredients (like folic acid) added to them because otherwise they can’t standardize the amounts of those nutrients. If your multi says “Folate” that is actually just fine for MTHFR mutants. “Folic Acid” is the one we can’t convert and so that’s the one you want to avoid. In general the reason you don’t want to take “Folic Acid” (bad) and “methyl-folate,” “folate,” or “5-MTHF” (all good) at the same time is because they compete for receptors. So if folic acid is stuck in one of your receptor sites (bad) then the folate (good) doesn’t have room to get in. Ack – I feel like this is still a bit confusing… Write back if it doesn’t make sense! Not confusing at all! Thank you. I checked, and my prenatal (Innate Response) has FOLATE, not folic acid – so yay, I can keep taking it! My question is around the amount. With 1000mcg (prenatal folate) + 800mcg methyl-folate supplement, is it okay to have that much? The measurements are a bit confusing, lol. My second question is wondering your opinion on if there is a range of methylfolate optimal for a “plain old heterozygous” like me. Just wondering your thoughts before I start playing with upping the dose, especially if I don’t need to being just heterozygous. Thank you! Yeah – dosing is really tough. Honestly it seems like the best dose varies so widely from person to person (even with the same gene picture) so I”d say just listen to your body. Maybe stick to the prenatal only (1000 mcg) for a couple of weeks and then add in the 800 mcg supplement and see how you feel. Always the first three days or so can be a little weird, but after that your body should adjust. If you feel better, then yay! Keep it! If you feel more agitated or not-quite-right then go back to prenatal only. Does that make sense? I have heard that sometimes folate is labeled as folic acid because of labeling requirements. I take Juice Plus+, which seemingly contains folic acid, but I am assured by the company that it is indeed natural, plant-based folate and safe for MTHFR clients. Oh interesting! Labeling in general is a nightmare, but I’m always nervous to take something with the words “folic acid” on it even if it’s just a labeling work-around. Ha! Ridiculous, right? Generally I like the Juice Plus products, but I hadn’t looked into the folate issue with them. Let me know how it goes for you. Can you take the genetic test while taking mythlfolate supplements? Absolutely yes. Your genes will stay the same no matter what you are taking or not taking, so feel free to start a good supplement routine even before you test. My test results state that I am compound heterozygous. Could you tell me which bracket that places me in based on the above illustrations? Any advice on treatment or specific do’s or dont’s that I should be aware of? That’s me too! For us compound heterozygous it means we have one good copy and one bad copy of both genes. It’s easier to deal with than a double bad C677T, but not as easy as only one bad copy of either gene. Essentially this puts us somewhere in the middle of the compromized zone. Not as bad as some, but not as good as others. Nothing specific for this mutation other than go slow and listen to your body – it’s hard to say how compromised you are with this pattern, so overdoing the methylated Bs could be just as bad as underdoing. Good luck! I am homozygous for the C677T variant and negative for A1298C. Thanks for your ability to make a very complex issue seem a bit easier to understand. First question: Looking at your first illustration, I believe I’m in the top right corner in the red zone (worst). Going to the second illustration, it appears that I would also fall in the top right which is yellow (middle of the road). Am I interpreting this correctly and if so which should I go by? About me: I’m 41 and for most of my adult lifeI have had generalized anxiety that spills over to depression if I get too anxious. I have tried multiple antidepressants and use Valium to help with anxiety. The only antidepressant that worked was Wellbutrin which gave me a lot of motivation and focus but had to stop taking it after I started getting irratble and developed head and neck pain. A couple years ago I noticed if I take B vitamins my anxiety worsens so I always thought I have the most severe anxiety disorder as one could have. Last summer I decided to try a holistic Dr. and was tested for lots of things including MTHFR which I never heard of. Last week, I finally decided to see a specialist after Deplin made me want to crawl out of my skin. Second question: If a non mutant took Deplin or B vitamins, would they they notice anything or could they feel the same anxiety, agitation, flushing and uncomfortable way I feel? The specialist say it’s too soon for supplements. Im currently in my second week of total diet change. No wheat, soy, gluten, sugar, dairy. Only grass fed meats, fruits, veggies, free range eggs and almond milk. She says in about 3 months, I’ll re-test (blood work) and start introducing some supplements. The problem is that I feel bad now and need to get better sooner then three months! I have B-complex Plus from Pure Encapsulations as well as methylated forms of individual B vitamins. Third question: If I introduce L-methylfolate slowly and fight through the anxiety & agitation will it subside In a few days or do I just need to let my body get Bs from food for now? Thanks for your help! With the homozygous C677T mutation we know that your methylation function is about 70% compromised, which is certainly significant enough to cause symptoms in most people. Clearly you’ve got some symptoms that are typical for MTHFR mutations and those symptoms are considerable. So – I”d put you in the pretty severe category. Not that it matters much – it’s all treatable, it’s just a little more delicate with a more serious mutation. My experience has been that introducing the methylfolate slowly (the bigger the mutation the slower I tend to go) is usually the best way. The first three days of any dose are always a little messy because your brain suddenly has a whole different neurochemical picture and so a lot of things start happening all at once. A little messy should be weird feeling, but not intolerable. If it’s horrible, then cut the dose even smaller. Likewise if that weird feeling lasts more than three days. Those are general guideposts, but everyone’s story is different and certainly talk with your current practitioner about anything you’re changing. I’m super excited to hear about your diet – honestly that will help tremendously as well. And to answer your other question I recently found out that Deplan is often used for patients with moderate to severe depression who are also obese (With or without the MTHFR mutation) and it’s typically extremely well tolerated. I believe that for the most part people without the mutation tolerate B vitamins far better than MTHFR mutants do, but at a high enough dose anyone would feel a little agitated. I hope this helps! Thanks for the reply. I’m powering through using 1/2 capsule of the B complex. It’s causing anxiety and agitation but I have to consider my pre existing anxiety disorder. I’m managing to function with the help of the benzo. My hope is that the anxiety I’ve had most of my life is secondary to MTHFR going untreated and that eventually I will no longer have anxiety issues! There is usually some anxiety/agitation as you’re adjusting but if it lasts much longer than 3 days then consider decreasing the dose a little bit. It shouldn’t be long-term uncomfortable. Keep me posted! Thank you very much for all the information on your blog about the MTHFR mutation and methylfolate supplementation. A lot of what is out there on other sites is very confusing so I apprecaite someone who can make it simple and can give basic steps to try to improve what could be a major problem. I didn’t realize and was not told by my physician that there are different levels to the mutation that one can have and that obviously makes a big difference in how you try to adjust for the mutation. I had a Genomind Genocept Assay Report done earlier this year. The results show that I have the mutation but the only info on the result says T/T. Does that mean I have the worst kind of methylation problems? Genomind doesnt seem to offer help directly to the consumer (only to the physician) and I hesitate to even bring this up with the physician because her only treatment for this was to give me a B-Complex that only had Folic Acid.That went on for five months even though I asked about needing the methlyated B vitamins she did not agree. Over the past two months she has ramped me up to over 2600 mcg total of methly folate thru various multivitamins and other supplements which I am just now realizing cd be the cause of a very quick onset of anxiety/depression symptoms. The anxiety and depression have been very difficult to deal with and Im trying to figure out if this MTHFR mutation and improper supplementation cd be the problem. I hate to have to pay for and wait for more testing if there is a way to figure out what the results from this Genomind test actually says and whether or not I need to go to a prescritption level.. Any advice would be apreciated as to how to proceed. I am just now restartng with 400 mcg of the Methylfolate (via Metagenics Glycogenics) and am not sure if it is enough or even a good one to start with. 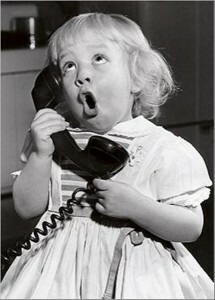 If a phone consult would be a more proper channel to get your advice I would be happy to go through that process. Thanks again for all the informative articles. Wow – yes, sounds like supplement confusion! First off, I’d have to see the test results to know but T/T is definitely a mutation on the C677T gene (the more difficult one) but I don’t know from what you’ve told me if you have one bad copy or two (so – I don’t know if that means one copy is T677T, hence T/T or if two copies have Ts instead of Cs hence T/T). Every test reports a little bit differently, but hopefully somewhere on the report it should say heterozygous (meaning one bad copy) or homozygous (meaning two bad copies). The methylfolate you’re starting on sounds like a great first step, and if you don’t feel well with that then let’s think about a consult! Pingback: The Best Total Body Plan for Heart Health | To Health With That! Pingback: What is the Best B12 for MTHFR Mutants? | To Health With That! Pingback: The best dose of methylfolate for MTHFR mutants | To Health With That!